We live in an very insecure world but we have a God who is our foundational rock. Knowing deeply His peace that passes understanding even in the midst of a storm. Finding God’s solution of love for us and others in every situation we face that always makes everything okay. Living in the rest God calls us to in Hebrews 3 and 4. You won’t go wrong sensing God’s words of love and comfort to you and writing them down. 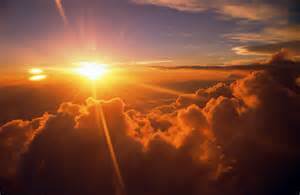 Even if God is convicting your conscience, He always does so in love, to bring you up higher into all He has for you. God is love. Love is the fulfilling of the law. Love makes all of life work as it should. I find this is the main thing God wants to speak to us on a daily basis. Love is the encouragement, right perspective, and proper motivation for what we all face in day to day life. When hearing God for guidance, we need to add more safeguards than simply, “Is it comforting and edifying?” You need to assure that it lines up with the Word of God and get confirmation from those who have spiritual authority in your life. With God’s peace umpiring in your life, you can learn sensitivity to Him telling you where things are “safe” and where you need to be careful because you might “strike out. Practicing these steps and allowing time for the Lord to speak to you will encourage you and give you more peace and rest in this ever-changing world. The holidays are here! It’s now December and Christmas is rapidly approaching. Here’s some of what’s been happening with us. Robert’s new book The Sonship Empowered Life is available on our website and now listed on Amazon. We are excited to see many people being blessed by it already. If you have read it, we would love any feedback you have, and would appreciate it if you could write a review of it for the Amazon listing. 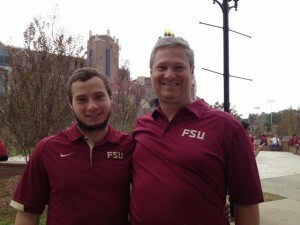 We enjoyed catching the last FSU home football game with our son, Darren, in Tallahassee, then taking him back to Jacksonville for the Thanksgiving holidays. We had not seen him since August so it was nice having him around for a week. He is currently a juniormajoring in Economics and has some difficult classes this term, so he welcomed the break. Both Cyndi and Robert are still running and will be racing in the Festival of Lights 5K on the evening of December 7th amidst the decorated Christmas lights of the San Marco area of Jax. It’s a wonderful way to be a part of the community while enjoying the season’s adornment. And we are looking forward to returning to the Dominican Republic for the pastor’s conference in January. The DR can be a challenging place to minister, especially in the Southwestern region, but God is giving us some unique ideas in teaching the message of the Father’s Love. Please keep this conference in prayer (Jan 8-11) as we’re believing for many lives to be touched, healed, and set free. Thank you for all your prayers and support and we wish you and your family a wonderful Christ-filled Christmas! It’s November already – this year is flying by! 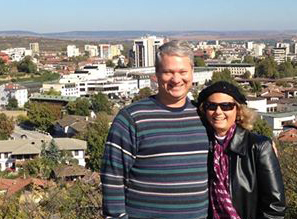 We had a wonderful trip to Bulgaria in October. The feedback we have received is that this was the best pastor’s retreat ever! Many thanks to the many people that supported this trip with prayers and donations. You also share in the eternal rewards. Our next trip is a pastor’s conference in the Dominican Republic in January. Robert has now taught Father’s Love conferences in 27 nations and yet feels challenged when he go to the DR. Even though he used to live there, speak Spanish and know the culture, this is not the easiest place to minister The Father’s Love. Ministers so often have a focus on being the “big boy” that has it all together rather than being a little boy that has a great big heavenly Father. I’m working with a missionary that has lived there many years and has a real heart for the Father’s Love message penetrating the culture there. God has already been downloading fresh strategies in my heart to see His love make a deep impact there. And now we have some great news to announce! Robert’s new book The Sonship Empowered Life is here. It has no gone through extensive editing producing a finished product that is very readable, understandable and engaging. We’ve received numerous testimonies of tears and new freedom from our test release last spring. We were blessed to have LA Joiner from Christian Alliance of Ministries, and Trisha Frost of Shiloh Place Ministries, write forewords for the book. We are considering adopting a ministry intern to help with our marketing our book. This experience would be valuable for college students. Please email us if you might be interested. Manager@fountainsoflife.org. Cyndi is training again for some 5k runs and Robert has taken his bare foot running back up. We haven’t seen Darren since the start of the fall semester at Florida State. Between football games, (Seminoles are undefeated!) and a very hard class schedule, he hasn’t been able to come home for a weekend. We look very forward to seeing him soon. Blessings to you and your families as you begin the holidays. May you have an awesome Thanksgiving full of praise and wonder from the Lord.